I had the same fears in reading Shakespeare too. And I didn't understand every conversation either (which is why I loved the appendix in the penguin edition so much). Othello sounds good. I think I am going to have to add that to my tr list. I would recommend Macbeth which was AMAZING but there are a few deaths in that too, lol. I read this one in high school, and it was great to have the teacher explaining it all. I've particularly come to love Shakespeare now that our local theater puts on one of his plays every year or so and does such a wonderful job. I'm going to second Karen. Macbeth was amazing, as was King Lear. Among the comedies, I loved A Midsummer Night's Dream which I just read. I've added Macbeth to my Shakespeare reads this month! I've been searching the Internet for a local Shakespeare play, but haven't found anything yet. I really hope I can watch something soon. A Midsummer's Night Dream is up next! I can't wait. I'm glad you enjoyed Othello! It's true, the story is simple but the emotion and the characters are what make it. Ah, that makes perfect sense about Lago! Thanks for sharing! 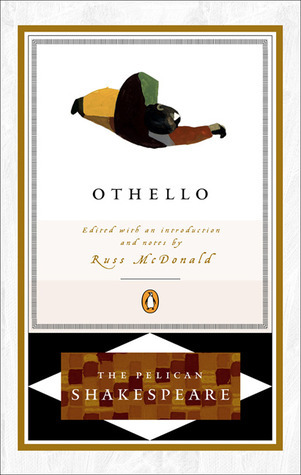 I watched Othello as a movie and loved it, but haven't actually gotten around to reading the play yet. I think I'll have to keep reading Shakespeare even after January.